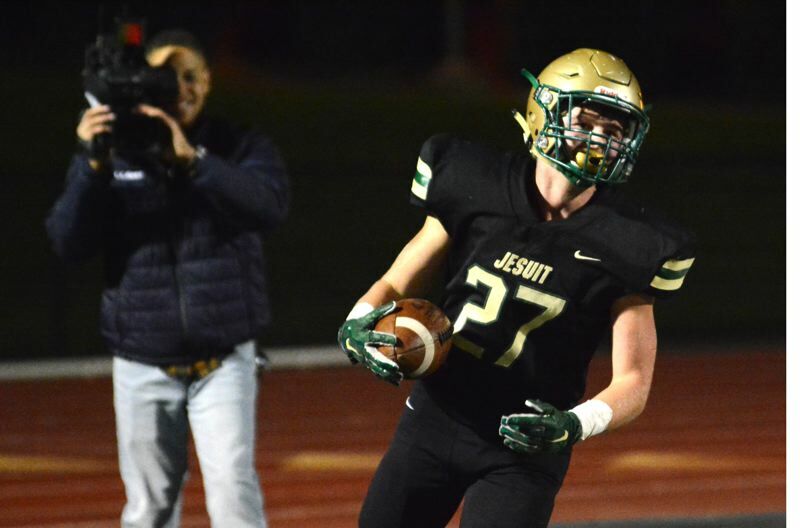 BEAVERTON — Reynolds came to Cronin Field and rocked the boat with some early waves, but Jesuit calmed the seas and raced away for a 45-7 second-round playoff win Friday night. The Raiders caused some nervous moments when its defense forced the Crusaders into a rare three-and-out on its opening possession. Reynolds took the ball and moved down the field in chunks with Kehdon Fletcher pulling in a 14-yard catch, and QB Jaden Hawkinson finding his way through the middle for 11 yards. The Raiders would fire a pass too high for Fletcher in the back corner of the end zone and went wide right on a 29-yard field goal try. Jesuit would score on its next three drives, including touchdowns 20 seconds apart, to end the first quarter in front 21-0 after QB Will Spitznagel found younger brother Luke on a 9-yard touchdown pass. The No. 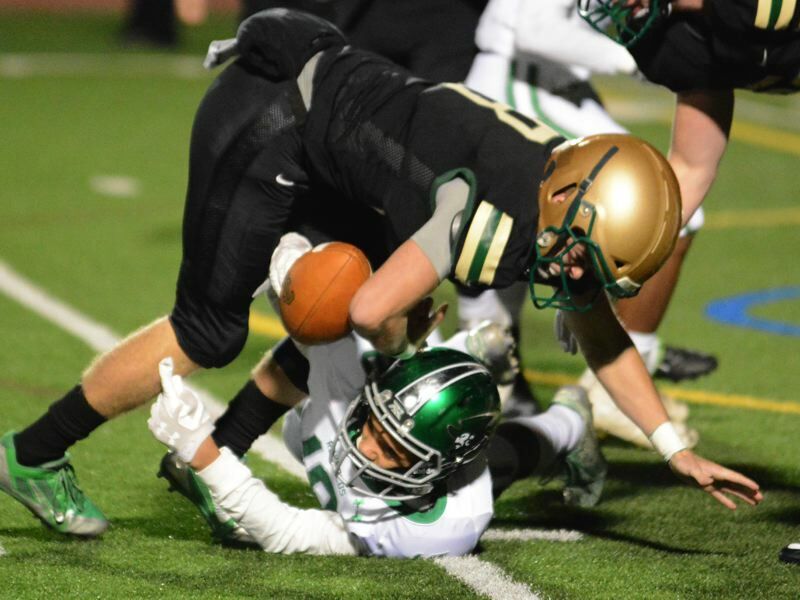 4-ranked Crusaders host Tigard in the quarterfinals at 7 p.m. Friday. View photos from early action at davidball.smugmug.com. Look for expanded coverage ahead in our Tuesday, Nov. 13, edition of The Outoook and our Thursday, Nov. 15, edition of The Valley Times.